While the focus of the Raikes Foundation’s work is young people, our society has many pressing issues and causes that need to be addressed urgently with long-term solutions and philanthropic support. Yet many donors lack access to high quality resources or advice to guide their generosity. 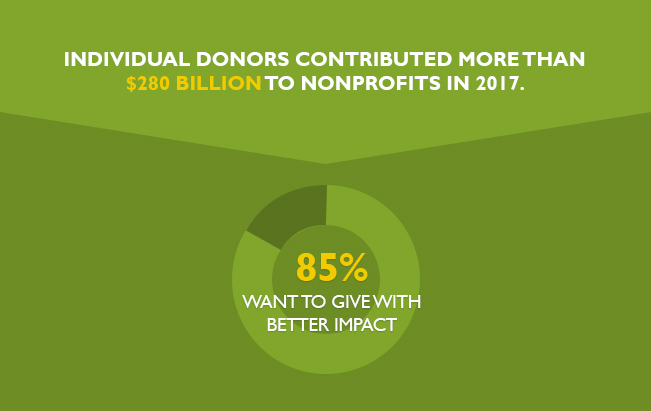 That’s why we've created the Impact-Driven Philanthropy Initiative—to help more donors give more dollars to do the most good. Over the next 50 years donors will contribute nearly $20 trillion to nonprofit organizations. This presents an enormous opportunity to make progress on pressing social issues and to solve some of our greatest challenges. While most donors indicate that they want to make donations that will have an impact, very few research an issue or organization before contributing. If donors aren’t making informed, intentional investments, we squander opportunities to have transformative impact. The Impact-Driven Philanthropy Initiative was created because we believe the social sector can do more to help donors who want to give well. Though most giving comes from individuals, most of the resources for understanding social impact are targeted to professional staff in large foundations. We hope to unlock that knowledge, and bring what we know about how to make an impact to donors who are hungry to contribute to lasting, meaningful change. In the summer of 2017 we launched Giving Compass which aspires to curate the world’s best information to help donors hone in on a strategy to give well. Giving Compass is just the first step in our initiative to help donors on a journey to impact-giving. Visit the Giving Compass. This article helps donors move beyond the “peanut butter” approach, contributing small amounts to many different projects, to finding and sustaining a focus to giving that will lead to greater impact. This guide reflects the collective experience of staff at the William and Flora Hewlett Foundation, incorporating input from colleagues across the organization about what has – and has not – worked in their grantmaking. This collection of articles curated by the Stanford Center on Philanthropy and Civil Society includes gold standard articles and reports on how to improve your philanthropy and effect social change. Social Venture Partners International is a philanthropic network that cultivates effective philanthropists, strengthens nonprofits, and invests in collaborative solutions in order to tackle pressing social challenges. This grant supports Faces of Giving’s work to deepen the field’s understanding of high net worth donors of color, their needs, behaviors, and interests. The Philanthropy Workshop provides strategic philanthropy education to a growing network of philanthropists with the goal of inspiring individuals and families to give better. This grant supports Stanford PACS to develop and share knowledge to improve philanthropy, strengthen civil society, and effect social change.